Upon reading the last page of John Piper’s book Contending for Our All: Defending Truth and Treasuring Christ in the Lives of Athanasius, John Owen, and J. Gresham Machen, I was amazed. Athanasius, Bishop of Alexandria, was exiled five times for his belief in the hypostatic union of Christ. All five exiles occurred after the Council of Nicaea (325), which clearly stated that Jesus was “begotten, not made” and that he was “very God of very God.” Despite this, Athanasius fought contra mundum (against the world) of Arianism that was so vivacious during that time. 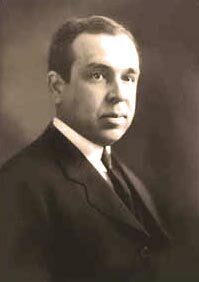 J. Gresham Machen was kicked out of the PCUSA and battled Liberalism (what he would also call Modernism) his entire life. Preachers of Machen’s day were saying that the old truths of the Bible needed to be interpreted in new ways. This included reinterpreting the Westminster Confessions, so that the liberals would affirm what the document said, but reinterpret the words to mean something entirely different. 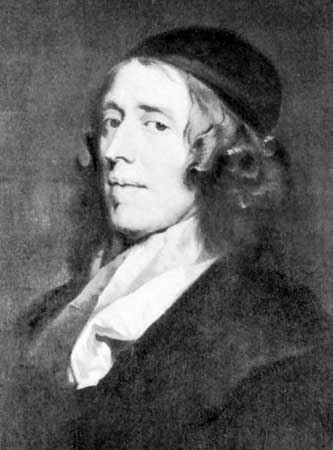 John Owen, the great Puritan theologian, experienced severe trials in the midst of his life. He watched all of his eleven children die (ten in infancy) and the death of his wife. Nonetheless, he had a stunning writing career characterized by faithfulness to his God. How could these three men go through what they did and still be passionate contenders for the truth? The answer is perhaps simpler than we think. These men were weak and sinful, just like the Apostles. There was nothing inherent in these men that made them great. But God worked mightily in the minds and hearts of his servants by his Spirit to impress upon them the knowledge of God. It’s more than just the evidence of the truth. It’s what that truth means! It’s having more than just a theology in our heads that we know intellectually. It’s about having communion with God himself through what we intellectually know, so our whole being comprehends not just the construct meaning of a theological sentence, but the meaning of that sentence applied to our life. It’s not about sturdy, stalky, Reformed martyrdom, "because that’s just the way we’ve always believed." It’s about loving God because of or based on the doctrine we hold. This type of joy, for David, was based on the knowledge of the steadfast covenantal love of God. If there’s one thing obvious while reading the Psalms, it’s that David was totally amazed by the grace and mercy of God. He trusted God to forgive him, to preserve him, to deliver him. Why? Not because of some mystical experience, but rather because of knowledge grasped by the heart. God actually forgave him, preserved him, delivered him, and David came to know God personally through these things. In order to know God in the depth of our being we know him with and through the mind first, not through some emotion, some fleeting feeling of his presence. We know who God is through Scripture, through what he’s provided for us, and the beautiful inheritance which we have (Psalm 16:6). We know God with the mind first, and we never stop loving God with the mind after. The mind is a portion of who we are as “whole” entire beings. “We are subject to many pressing needs, and we are too much inclined to value God, not for his own sake, but only because He can satisfy those needs” (72). Machen goes on to say that we have the needs and desires of food, clothing, family, and work. Much of the time God is obliged to give us these things. “… are lofty desires. But there is one desire that is loftier still. It is the desire for God Himself. That desire, too often, we forget. We value God solely for the things that He can do; we make of Him a mere means to an ulterior end. And God refuses to be treated so; such a religion always fails in the hour of need. If we have regarded religion merely as a means of getting things – even lofty and unselfish things–then when the things that have been gotten are destroyed, our faith will fail. When loved ones are taken away, when disappointment comes and failure, when noble ambitions are set at naught, then we turn away from God; we have tried religion, we say, we have tried prayer, and it has failed. Of course it has failed! God is not content to be an instrument in our hand or a servant at our beck and call. He is not content to minister to the worldly needs of those who care not a bit for Him. The text in the eighth chapter of Romans does not mean that religion provides a certain formula for obtaining worldly–even the highest and most ennobling–and most unselfish of worldly benefits. “If God be for us, who can be against us?”–that does not mean that faith in God will bring us everything we desire. What it does mean is that if we possess God, then we can meet with equanimity the loss of all besides” (73-74). “Many men, as has already been observed, are telling us that we should not seek to know Him at all; theology, we are told, is the death of religion. We do not know God, then–such seems to be the logical implication of this view–but simply feel Him” (74). “Whatever may be thought of such a religion, I cannot see that it possess any moral quality at all; pure feeling is non-moral, and so is religion that is not founded upon theology. What makes our love for a true friend, for example, such an ennobling thing is the recognition by our mind of the character of our friend. Human affection, so beautiful in its apparent simplicity, really depends upon a treasured host of observations of the actions of our friend. So it is also in the case of our relation to God. It is because we know certain things about Him, it is because we know that He is mighty and holy and loving, that our communion with Him obtains its peculiar quality. The devout man cannot be indifferent to doctrine, in the sense in which many modern preachers would have us be indifferent, any more then He can listen with equanimity to misrepresentations of an earthly friend. Our faith in God, despite all that is said, is indissolubly connected with what we think of Him. The devout man may indeed well do without a complete systematization of his knowledge–though if He be really devout He will desire just as complete a systematization as He can possibly obtain–but some knowledge He certainly must have” (75). How can we come to know this God, Machen asks? We know God through nature, conscience and the Bible (76-77). “Whoever has seen me has seen the Father" (John 14:9). We see the Father through Jesus Christ the son. We come to love him, as previously loved by him. In Christ we see all the passion of God the Father to save his people from their sin. We see the justice of the Father as Jesus drank the cup of wrath reserved for his sheep. We see Jesus’ disciples desert him, but Jesus lovingly pull them back into the fold, preparing them for service, to tell all the world that the Old Testament scriptures were written about him (Luke 24:27). From the fall, God had said that an heir would crush the head of the serpent (Genesis 3:15). The secret hidden for ages is now plainly revealed by the Scriptures Christians pick up and read every week (and hopefully every day). The Gentiles are fellow-heirs with Christ, brought near by the blood of the Lamb. Christ reigns supreme, bringing all things in subjection to himself. The sting of death is gone. How did Athanasius, Machen, Owen, and the Apostles all contend so earnestly for the faith, despite intense hardship, suffering and trial? It was certainly not because they were great. It is because God was. God was their all, revealed in love through Christ, who was their treasure. They were struck deeply by the Holy Spirit through the things they knew. The drama of the Bible revealed the theology of the Bible. They had real, deep, passionate, honest, truthful, heartfelt communion with God in the doctrine they held to so firmly.